Late last Saturday we locked 18 artists in the gallery, led by visiting artist Campbell Whyte, for the All-Night With Campbell Whyte workshop! 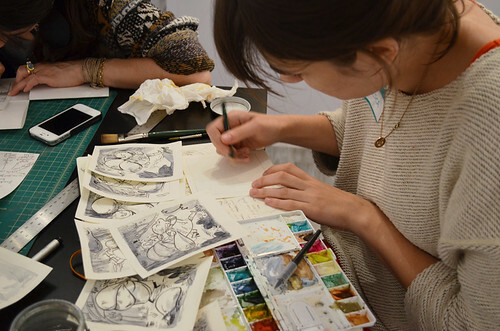 This all night lock-in and comic workshop was an opportunity learn about Campbell's process, burn the midnight oil with other creatives, and (hopefully) finish the night with a finished 8-page comic! 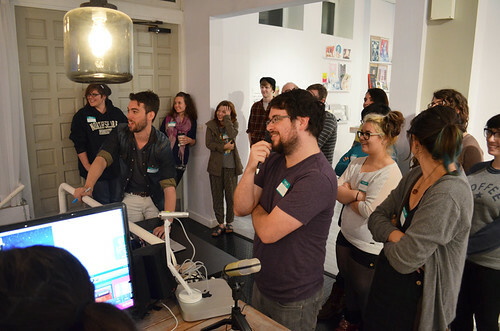 The lock-in started at 9 pm with Campbell sharing a little about his history as an artist, the projects he's managed to continually crank out, and how he balances the ideas and projects he wants to accomplish with real-world responsibilities and obligations. After that introduction, we moved on to an idea-generating exercise to help come up with a concept for the night's project. Once everyone got cranking, it was full-speed ahead as people worked through their ideas with Campbell, storyboarded their comics and got creating. 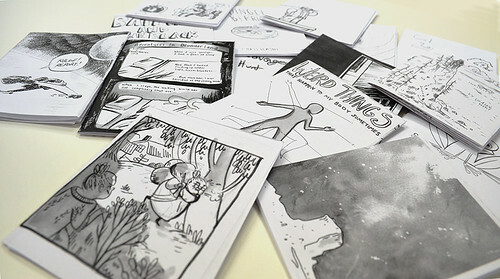 The deadline was a 4 am trip to the copy-shop to make a 20 comic edition to share with the rest of the workshop participants. Thankfully, Campbell is a charming instructor, despite the grueling hours and spirits remained high through the night. There was plentiful coffee, Glam Doll Donuts and a massive late night pizza delivery, which helped. 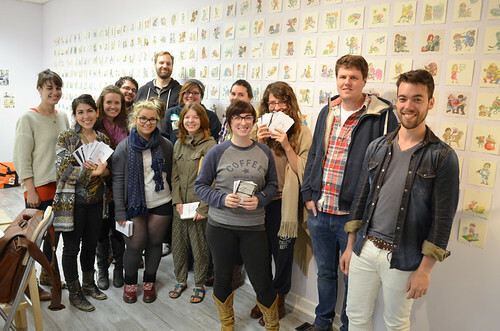 Right on schedule, we took a group trip into Uptown to make copies of our comics. 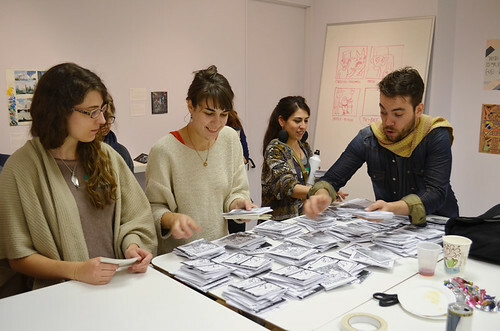 Once printed and folded, everyone got to go home with a copy of everyone else's comic! Thanks to Campbell for an awesome night! Needless to say, it was intimidating for everyone involved to start working, knowing they had such limited time. But Campbell really helped people get motivated and push through the problems. In the end, I think a lot of people were surprised to see how much they accomplished when they were on a deadline. The best part (for me) was getting home and reading through a stack of comics in bed as the sun came up and the birds started chirping, and being impressed with how good they all were!